Appropriate for grades 1 and up. You can learn a lot about elements, their components, and atomic theory by doing a breakdown of the periodic table. 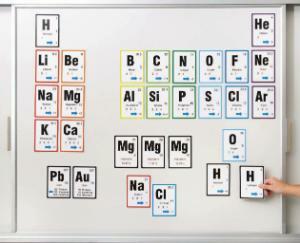 Designed to provide emphasis on the core concepts of atomic theory, students will discover element trends as they sequentially build the periodic table with the first 20 elements. 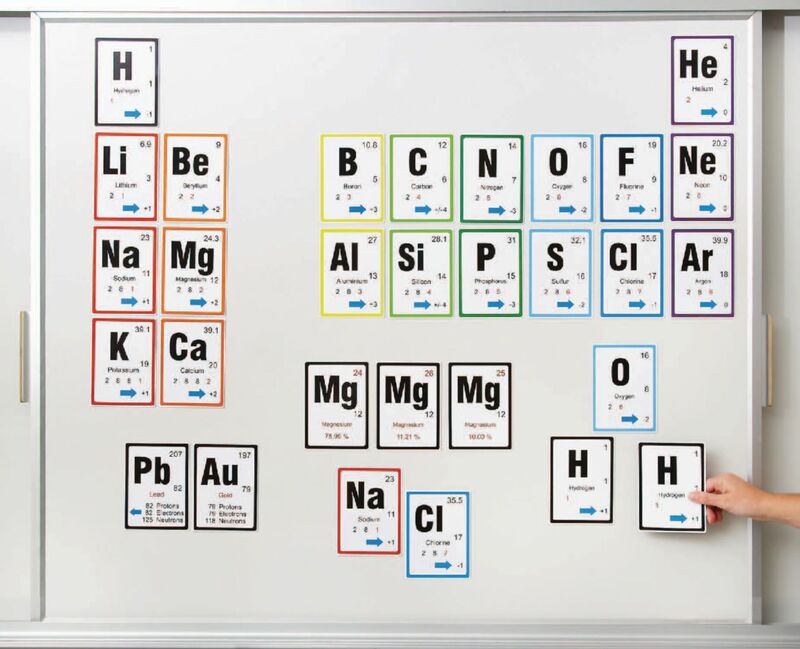 These versatile element cards stick to both the black or white board and allows for the illustration of several major concepts including Families and Periods, Atomic Numbers and Mass, Electron Shells and Valency, and Isotopes. This set includes elements 1 through 20 and the following: Hydride (H-), 14 additional elements (4 x H, 3 x O, 2 x Cl, 1 x F, 2 x Na, 2 x K) 3 Mg Isotopes, and Au & Pb. Teacher's notes are included.